Try an immersive experience like no other at The K Hotel Bahrain! One of the best things about living in Bahrain is the variety of Friday brunches on offer. 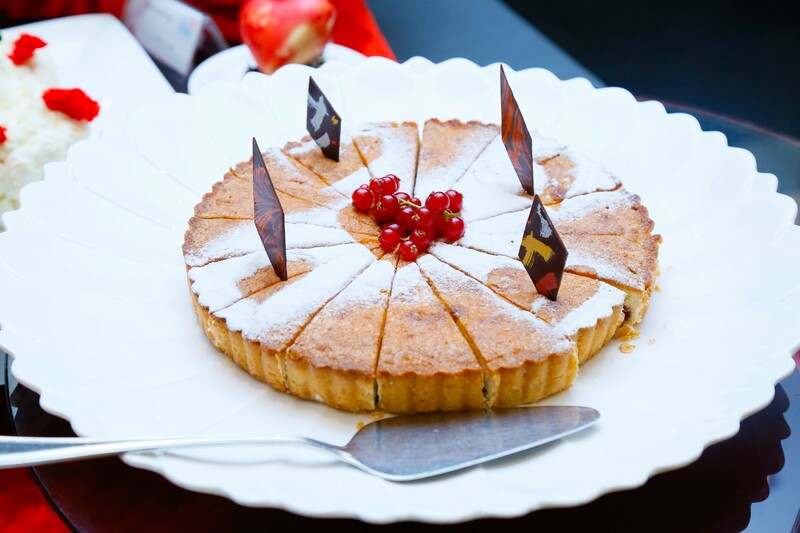 The K Hotel goes all out to deliver a delicious start to your weekend in its vibrant venue. Known for its world-class culinary offerings, The K Hotel, Juffair, has unveiled its state-of-the-art contemporary dining concept. KOLORS restaurant! Sporting a refreshed look, Kolors offers an upscale and comfortable ambience. 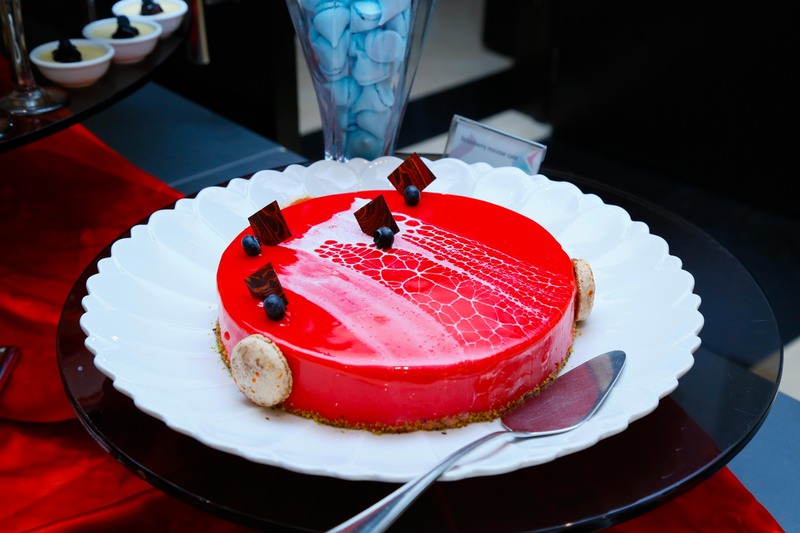 Located at lobby level, it also has a coffee shop extension with a glass display of delicious cakes and desserts. “The evolution of any business is mostly market-driven and, having studied the demands of the market and the feedback of our most regular guests, we embarked on this project,” shares general manager Hussain Al Samahiji. Many surprises are in store on the menu as well and the restaurant is offering a fresh-brew coffee and new weekly theme dinner buffet nights. The most stellar offering of the restaurant is certainly its bigger and better Friday brunch. Beautifully displayed canapés greet you in the lobby as soon as you enter through the revolving glass door. The aromas from the live pasta and tempura stations waft through the air, whetting your appetite with a taste of things to come. As you make your way further inside, you meet an enormous sushi bar and a variety of salads and mezze on display. The starter section itself deserves at least two hours so you can leisurely enjoy all that’s on offer, accompanied by perhaps a few flutes of sparkling beverage. When you do move on to the main course, you can sample some scrumptious Arabic, Chinese and Italian preparations. Also, do not miss the opportunity to choose from a range of fresh fish, live oysters, Boston lobster and crabs– prepared as per your liking. Remember to save some room for dessert as a rage of pies, cakes, fresh crêpes and a fantastic chocolate fountain bring a sweet end to your meal. Throughout your time at the brunch, in-house duo musicians fill the air with melodies and a balloon twister magician keep the kids entertained. This lavish brunch is served every Friday for BD14.5++ with soft drinks and with selected beverages for an additional cost of BD7++. For guests who want to keep going, selected beverages are available from 4pm to 7pm at the K lounge with 30% discount. You can also drop in every Sunday for Filipino night and on Thursdays for a new Asian Night for BD7.5++. 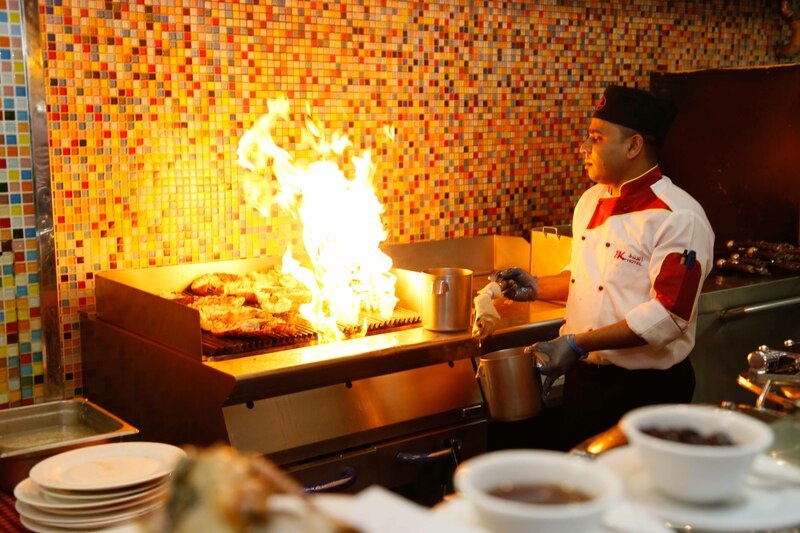 Monday to Wednesday, American dinner buffet nights, BD 6++. Monday nights are reserved for a succulent Ribs; Tuesday is for fresh Italian delicacies and on Wednesday featured American barbecue and grills. KOLORS restaurant also offers an express lunch for BD 5.5++ from 12:00 noon to 4pm and after 3:00pm BD 5 net per person.